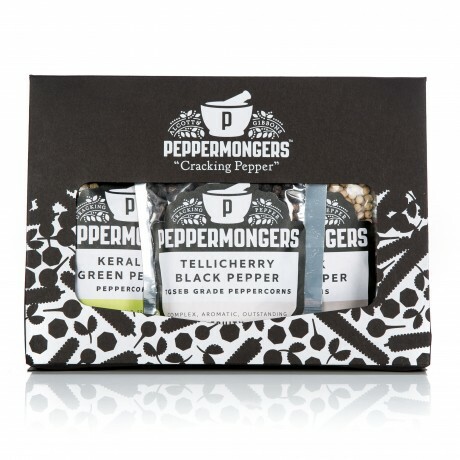 The Peppermongers gift pack, a unique gift for the traditional cook or for the more adventurous chef. Once you’ve tasted great salt and pepper – it’s black and white, there is simply no going back. 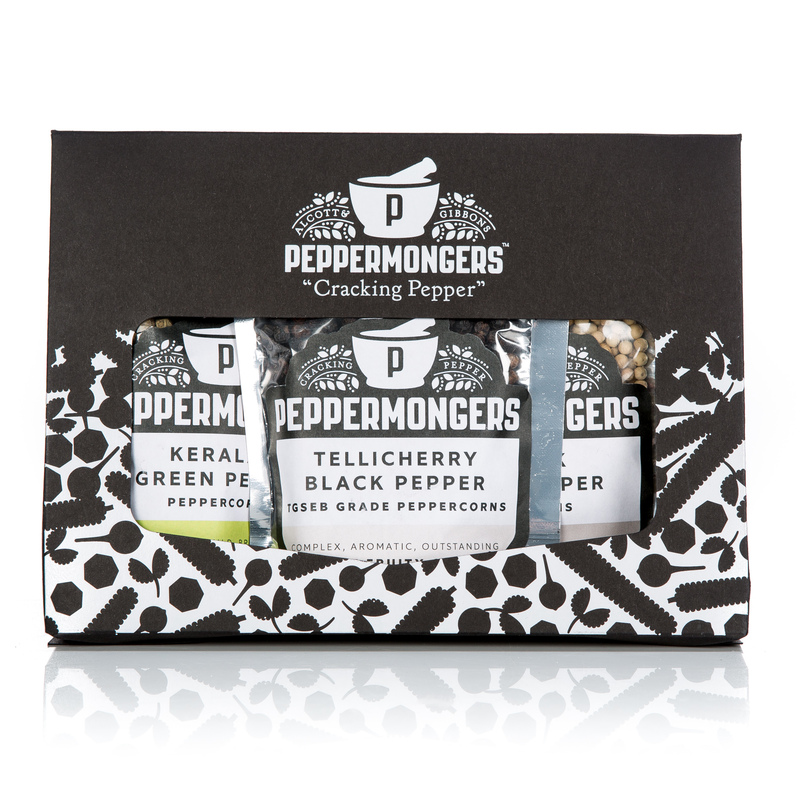 PEPPERMONGERS CLASSIC GIFT PACK: Tellicherry Black Pepper (38g), Muntok White Pepper (36g), Keralan Green Pepper (22g). This product is dispatched by Salthouse and Peppermongers. This item has a shipping weight of between 96g and 96g depending on the options selected. Please note: this item has special delivery requirements so £3.00 is added to the delivery charges indicated below.